Home Any Graduate Jobs in Chennai Jobs in Experienced Walk-In Jobs Worldsource Healthcare India Pvt Ltd Walk in Drive Jobs Opening For Medical Billers / Payment Posting / Charge Posting @ Chennai Apply Now. 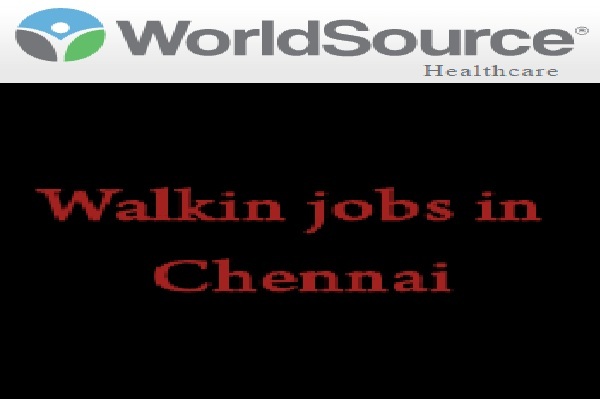 Worldsource Healthcare India Pvt Ltd Walk in Drive Jobs Opening For Medical Billers / Payment Posting / Charge Posting @ Chennai Apply Now. Worldsource Healthcare India Pvt Ltd Walk-in Drive Jobs opening 2018-2019 for Medical Billers / Payment Posting / Charge Posting download application at www.worldsourceteam.com. Worldsource Healthcare India Pvt Ltd walk-in for has invited applications from interested, eligible candidates to fill in the vacancies Interested candidates can apply on through official website. who have not applied until now can follow the instructions below and apply Online. Worldsource Healthcare India Pvt Ltd Walk in Drive Jobs Opening For Medical Billers / Payment Posting / Charge Posting @ Chennai Apply Now. Walk in Time: 10 pm to 5 pm. Notice Period - Immediate joiners Prefferrable. Required documents: Updated resume & last three months payslip. Benefits : Attendance Incentive / Transport Allowance / OT Incentives / Flexiable working Atmoshphere. *Landmark* - Nearby PayPal Office."